Know that “About Me/Us/the Company” page most websites seem to have? Visitors don’t like it. That sort of page is usually too long and it always requires visitors to do some extra clicking, which they don’t seem to have time for. You want to introduce yourself or your company to your visitors without inconveniencing them or wasting their time. That’s where the intro box comes in. The intro box is a small area you put on your landing page, preferably at the top of the page, that briefly describes you, your company, or your website. It immediately gives your site visitors a general understanding of what you can offer them. Leave it to a professional web designer to show you how to do it well! 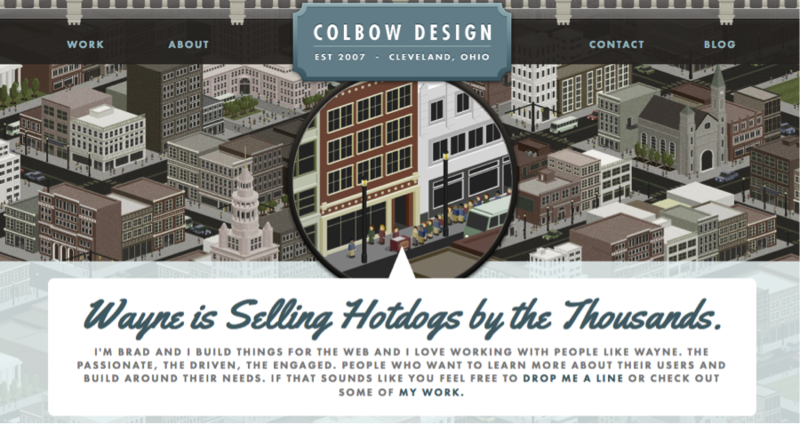 Brad Colbow of ColbowDesign.com wisely used his intro box as the main focus point of his landing page. It’s the first thing his site visitors notice, so they immediately get a clear idea of what Brad Colbow has to offer. You don’t want your visitors to open your website only to go, “What is this all about? Who is this person?” An intro box is an excellent way to introduce yourself as a person who can offer your visitors something great. A strategically-placed intro box like this one allows you to introduce yourself before your visitors notice anything else on your website. You can use the intro box to simply state the purpose of your website. Tell your visitors why your website exists and how it can help them. 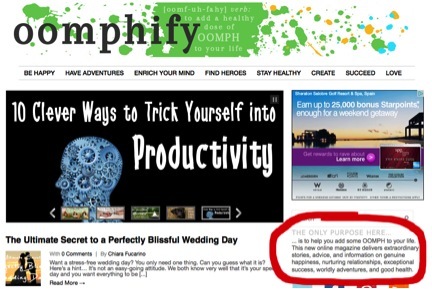 As you can see on Oomphify.com, this type of intro box focuses entirely on the website and its contents. It’s also in a subtle place – the sidebar. A subtle intro box like this one allows your visitors to notice your content and other aspects of your website before trying to find out what it’s all about. Don’t make it too subtle, though! You want your visitors to find it without much trouble. 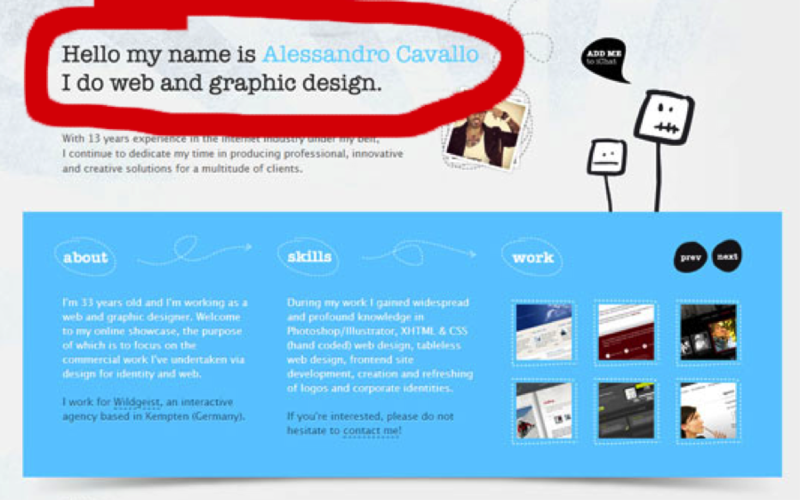 A super simple intro box like the one on Alessandro-Cavallo.de (with a link to the “about me/us/the company” page) is very effective due to its compactness and straightforwardness. If your readers want to learn more, they’ll click on the link you provided. If not, they’ll still understand what your website is all about. You can use the intro box to simply explain your product(s). 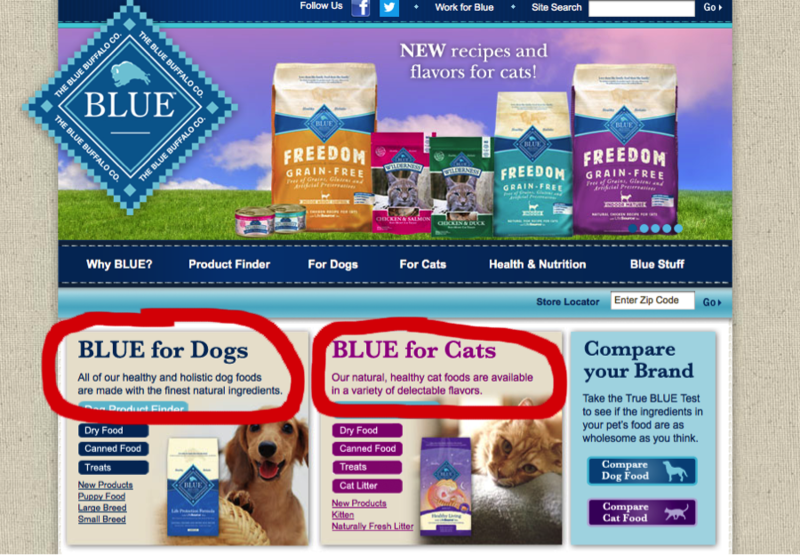 BlueBuffalo.com has two intro boxes – one for dog food and one for cat food – and they still managed to keep them from dominating the landing page. Now that you know several different ways to incorporate an intro box into your website, you might be wondering why you should even put one on your landing page. Well, we have several reasons. It gives you some control over your visitors’ first impression of your website. Your intro box is always there, regardless of what kind of content or product may pop up on the front page. It tells your visitors what your website is all about, and it can give them a good first impression as opposed to letting them judge your website on the non-static content on the front page. It lessens your risk of losing visitors due to confusion. Let’s say you sell shoes online. If your visitors open your website only to see a bunch of pictures of crocs strewn across the front page, they’d probably leave immediately because they’re under the impression that it’s a website that sells nothing but crocs. However, if there’s an intro box in the header that reads, “We are All Shoes, an online shop that sells every type of shoe imaginable to mankind,” your visitors will stay on and browse the website for the type of shoes they’re looking for. Quite honestly, there’s no reason why you shouldn’t include an intro box on your landing page. You can easily add one to your landing page with some coding or a plugin. This article was written by Simon (better known as SimonTheSorcerer online). He is working for Jangomail a mass email service provider. You can check out more of his work at his personal blog.